My Bangla Gaan FM Radio Live Streaming Online . Listen over 50 Bangla FM Radio Stations online . Enjoy Live Stream of bangla Music online 24 by 7 . This radio is the best resource of Bengali Music . 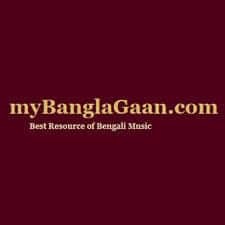 My Bangla Gaan broadcasts Rabindra Sangeet, Bhaktimulak, Palligeeti, Kirtan, Baul, Nazrulegeeti etc categories of music every day . The categories of music played may vary from day to day and by the hour . MyBanglaGaan.com brings to you free Bengali internet radio on a 24 by 7 . Most popular music categories are included and more and more are added on a regular basis . FM Will Start Playing automatically . Use Google Chrome browser to listen this radio in Laptops , Android devices , Iphone devices etc .